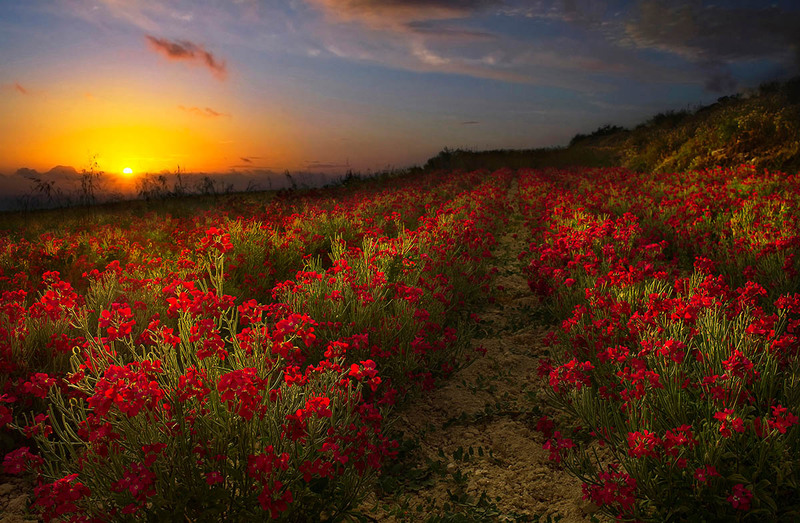 The last rays of the sun kiss the petals as another spring day ends on the Mediterranean island of Gozo. The flowers looks like a type of stock (Matthiloa) during spring time I saw quite a few flowers like this on the island of Gozo. I went back to the location several times at sunset during the following weeks and finally I got the light I wanted.